Stepping out of my comfort zone, testing out Chibi style. 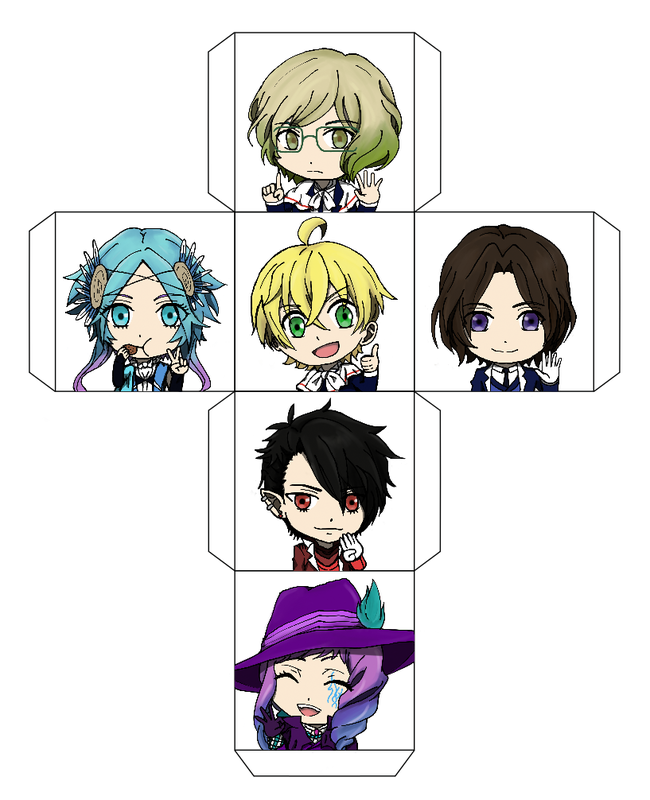 Inspired by the opening song of Makai Ouji, "Believe my dice", I drew the six main characters in Makai Ouji each holding up a number from 1 to 6, for each face of a die. 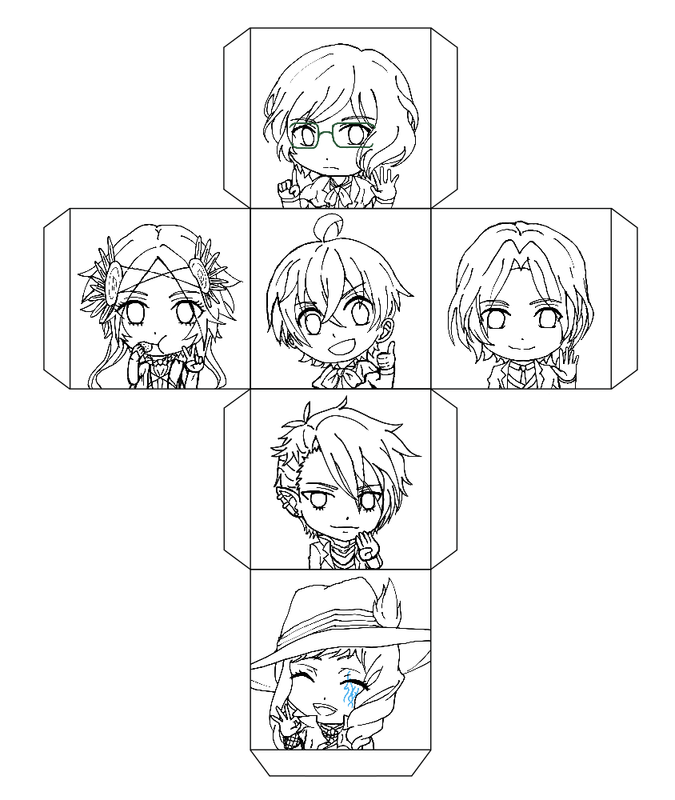 You can print this out, cut it out and paste the side tabs together to make your own Makai Ouji dice!